Being a mom in today’s world, involves juggling a job, your chores, errands and of course your family. Squeezing in some “me time” amongst the hustle and bustle seems close to impossible with all tasks already laid out on your schedule. But as the tale goes, catering to your health and throwing in some exercise goes a long way in assisting you with all that is lined up in your daily to – do list. 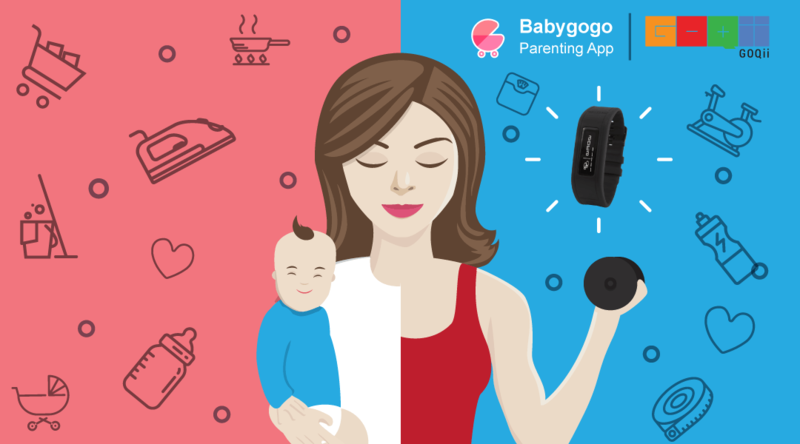 Babygogo is teaming up with GOQii to give 10 lucky moms a chance to win a three – month free subscription to the GOQii app as well as a free fitness tracker band. 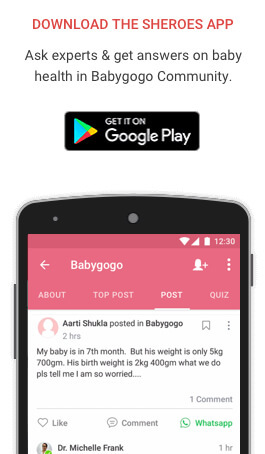 For Babygogo moms, GOQii can help you build a customised postnatal health plan for shedding weight, which includes a diet and exercise plan. You will be able to interact with a GOQii doctor , who will be able to assist you with your postnatal lifestyle. To become a contender, starting from the 14th of November; you will have to be the mom with the best answer of the day. Answering the queries on the Babygogo app with the most informative answer automatically puts you in the running to become the mom with the best answer for the day. Formulating a good exercise regime is vital to attain fitness goals. It is always good to get in your daily routine first thing in the morning. While a day is full with meetings, and other household tasks, there is a very good chance you may neglect a workout or find an excuse to skip it. Working out in the morning, not only gets your daily exercise out of the way, also sets up your tone for the rest of the day. It boosts metabolism and also the endorphins released helps to spike up your mood and increase energy levels. Another important fact to keep in mind is that a nutritious diet assists in reaching your fitness goals. Finding time to prepare meals to attain a balanced nutrition is sometimes difficult. You should incorporate essential nutrients in every meal that you take. After delivery it is often paramount to lose the additional pounds you have packed on during pregnancy. In the first few months post delivery, the weight sheds off quite effectively, couple in breastfeeding, and moms note a constant reduction in their weight. However, with time a plateau is attained, and pushing forward to lose more weight is where new moms struggle the most. A diet conducive to weight loss consists of minimally processed carbohydrates and fat, and a diet rich in fibre, protein and high energy carbohydrates. While the former provides almost zero nutrition, the latter is packed with energy boosting components. This usually includes food like fruits, fresh green vegetables, high fibre carbohydrates in the form of brown rice, pasta and bread and protein sources include eggs, lean chicken, fish and legumes. Setting a plan in writing: This makes you accountable and more likely to complete it. Noting it down as a task rather than a lingering thought will help you accomplish it daily. Enlisting assistance: It is never a shameful thing to admit that you need help. Ask your spouse, friends and family, to help you with household chores and looking after your little one. Making time for yourself is crucial in order to look after your family. Set realistic goals: While we all wish we looked a certain way, having a clear idea of what is achievable goes a long way. Start with a kilogram a week, and in no time you will find that you are able to achieve more than you set out to in the first place. Choose what works for you: Be it a fitness regime or a diet, use what works for you. There are a plethora of options out there, when it comes to food as well as exercise regimes. Feel free to experiment and mix it up. Ultimately you will find something that suits you. GOQii is an health and fitness service enabling a permanent shift to a healthier lifestyle. With the GOQii subscription, you get an Activity Tracker, to track your fitness. It provides a personalised ecosystem, where you can build your own fitness objectives. All your health and exercise regimes can be catalogued within the app and assist you further in reaching your goals. You can also have a one on one interaction with experts that range from the nutrition specialists to virtual personal trainers. This will help you to find the most suitable way to get in your workout daily as well as monitor the meals that you are taking. 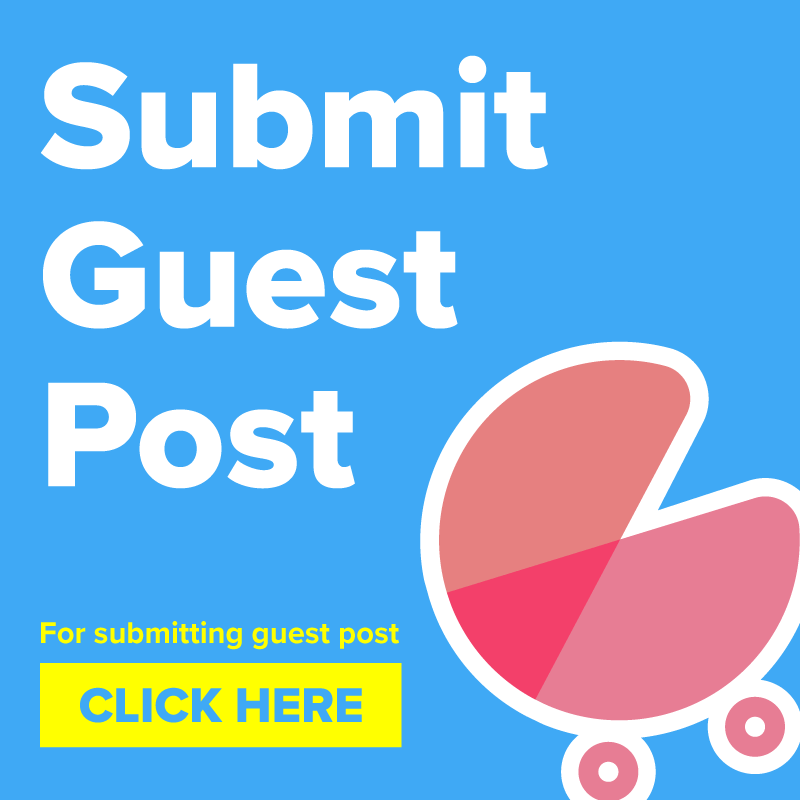 So go ahead and send in your answers to the queries on the Babygogo app, and stand a chance to win this exciting opportunity towards a healthy and happy you. Even I would like to know about such forums!